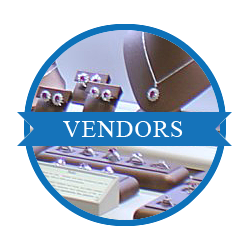 The BIG Network – Jewelry Retailers and Vendors working together. 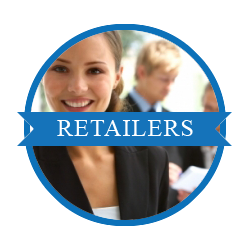 One of the ways the industry can strengthen is through a closer collaboration between retailers and vendors. Through true partnerships, we believe we will be able to work together to start tackling issues such as non-performing inventory and better merchandising decisions, which will lead to better cash flow, less debt and more profitable businesses. The BIG Network is a cost-effective, permission-based solution that allows for collaboration between you and your customers. Get insights into consumer sell-through of your product. Know exactly where the inventory is needed – in real time! The world is changing fast. Business is forced to adapt the way it operates in order to remain competitive. Those that keep their edge will be using systems vs. manual analysis. Know exactly where the inventory is needed – in real time! Retailers grant you access to your data – what’s selling and what’s not – and you help them manage their inventory. Be proactive in helping stock their fast sellers and remove poor performers. The BIG Network is an invitation-only, permission-based platform created by Buyers Intelligence Group (BIG), to facilitate collaborative inventory management between retailers and their suppliers. Vendors have been kept largely in the dark regarding sell-through – they have no idea what inventory is sitting in your stores that is not performing. Through Retailers participation in The BIG Network, vendors can: obtain sales and inventory information, help replenish stock faster with your permission, invoice/bill for sold memo inventory, and stock-balance non-performing items in a proactive manner. How you benefit: This service is free of charge for Retailers and enables them to work collaboratively with vendors by allowing them to gain valuable insight into what is selling and proactively help retailers manage non-performing inventory. For participating, Retailers are eligible to receive a free Daily Sales Report from Balance to Buy! BIG serves as a 3rd party administrator, gathering data related to specific vendor’s merchandise by interfacing with retailer POS systems. Watch this video to see why this is important for your vendors!